From bats and beetles to lemurs and people, the job of pollination goes far beyond our beloved bees. A beetle, an incredible pollinator, visiting a milkweed plant. But there are a host of other critters performing this service for the world’s food crops all the time. One study found that non-bee insects account for 38 percent of pollination services in 17 major crops. Some non-bee pollinators are barely visible, such as tiny midge flies, while others are likely to give you a fright, like bats. Here’s a rundown of some of our lesser-recognized but still highly valuable pollinator buddies. Bats pollinate more than 500 species of plants worldwide, including many tropical fruits: mango, banana, durian, guava, cashew, and others. They also pollinate agave plants in Mexico, the source of an alternative sweetener (agave nectar) and booze (tequila). 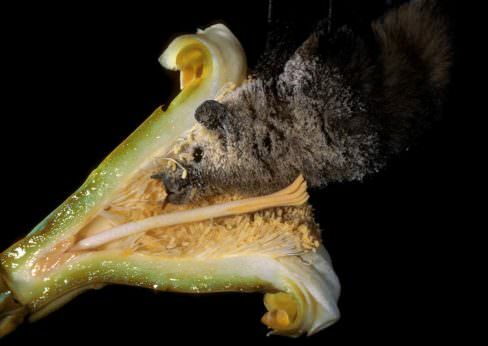 Not surprisingly, they are experts at pollinating night-blooming species, and favor large bell-shaped flowers, especially white ones with a sweet fruity odor. Bats are not major pollinators in the temperate regions of the U.S., though they do help pollinate peaches and almonds, as well as a number of cacti in the Southwest. To attract bats, install a bat house under your eaves or in a nearby grove of trees. You can also plant some of their favorite flowers: evening primrose, nicotiana, heliotrope, four o’clocks, moonflower, night-blooming jessamine, and honeysuckle. Beetles aren’t the most cute and cuddly creatures in the insect kingdom, but they play a major role in pollination. 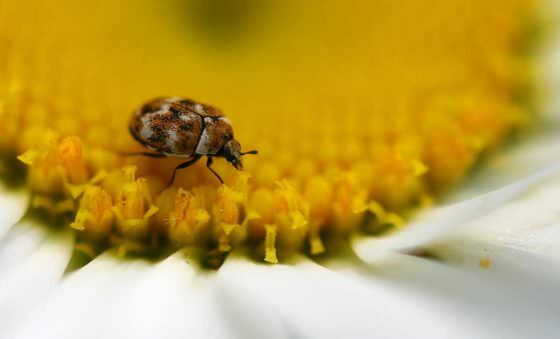 In fact, beetles were pollinating plants millions of years before bees even evolved. While they are not a primary pollinator for most food plants today besides a few obscure crops like macadamia nuts and pawpaws, beetles assist in the pollination of a large number of crops. There are hundreds of types of beetles, big and small, so almost any type of flower is fair game. You don’t need to do much to attract beetles, as most live in the duff that naturally accumulates on top of the soil or on decaying bits of wood. So as long as you don’t maintain a scorched earth policy in your yard, or spray insecticides, beetles should roam aplenty. Butterflies are arguably the most charismatic of pollinators, and like bees, their populations are increasingly threatened. 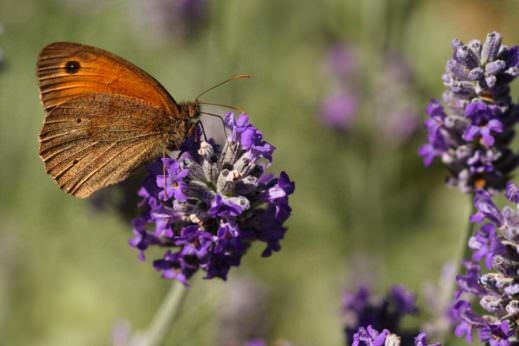 While bees are more likely to pollinate fruit crops, butterflies are primary pollinators for many vegetables and herbs, especially those in the carrot family (dill, fennel, celery, cilantro, parsnip), sunflower family (artichokes, lettuce, chicory, chamomile), legume family (peas, beans), mint family (lavender, basil, sage, rosemary, thyme, oregano), and brassica family (cabbage, kale, broccoli, cauliflower, Brussels sprouts). While pollination isn’t needed to produce the edible parts of these crops, as it is for fruiting plants, it is a prerequisite for seed production, on which next year’s planting depends. Butterflies like large flower clusters that form a landing pad. To attract them, plant species such as yarrow, milkweed, coneflower, butterfly bush, alyssum, and calendula. They also like patches of wet earth from which to glean moisture and minerals. Hummingbirds are well known nectar-hounds, pollinating flowers as they dip their slender beaks for a drink. 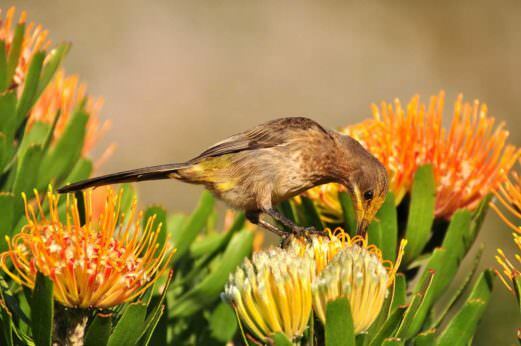 But in other reaches of the globe, many other birds provide this ecological service: sun birds and spider hunters (Africa and Asia); honeyeaters and lorikeets (Australia); flowerpeckers (Asia and Australia); honeycreepers (Central and South America); and sugarbirds (Africa). The planet’s 2,000 or so bird pollinators mainly visit wildflowers, though in the tropics they help to pollinate food crops such as bananas, papaya, and nutmeg. You don’t need one of the those plastic feeders filled with sugary water to attract hummingbirds. Simply plant species with red or orange tubular flowers, such as salvias, honeysuckle, red-hot poker, and cardinal flower. Bees get all the credit, but spend time in any flower patch and you’ll quickly notice a plethora of other flying insects busily scavenging amid the petals. 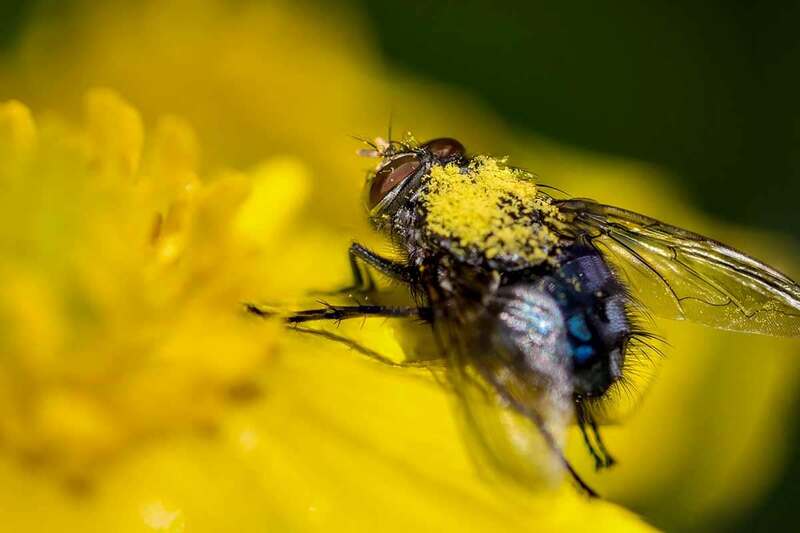 Flies generally favor wildflowers in moist, shady places, though certain species of hoverflies are major pollinators of orchards across North America. Moths compete with bats at night for large fragrant flowers, including the tropical crops like cashew and papaya. Wasps (mainly small, stingless ones) help pollinate a variety of crops, though none are more dependent than figs, which are exclusively pollinated by a specialized type of fig wasp. Midges, tiny gnats the size of a pinhead, are the exclusive pollinators of Theobroma cacao, the tree that produces chocolate. Even mosquitoes and ants are known to visit flowers, passing grains of pollen from one to the other along the way. As with beetles, attracting these additional insects to your garden is mainly about what you don’t do – namely, spraying insecticides. The prize for the world’s cutest pollinator might go to the honey possum, a 3-inch long marsupial from Australia with an elongated snout for sipping nectar. It is one of the only vertebrates that subsists almost exclusively on this sugary beverage. 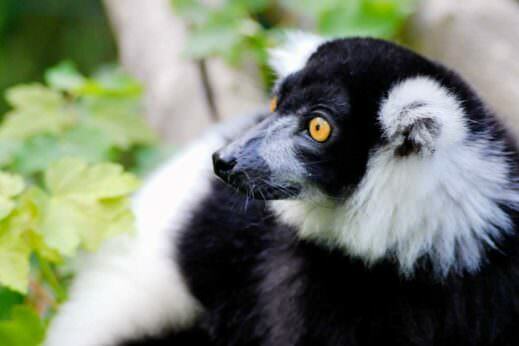 But a surprising number of even larger animals regularly come for a drink, including the black and white ruffed lemurs of Madagascar, and the large-spotted genet, a South African wildcat. Lizards, geckoes, and other reptiles have also evolved as specialized pollinators for certain plants. Here’s another specialized animal pollinator that you might not have considered, one that is responsible for pollinating many food crops: humans. “Hand pollination” is used when crops are grown outside of the native range of their pollinators, in greenhouses, or where native pollinators simply aren’t efficient enough for commercial production. Crops that are often hand-pollinated include date palms, vanilla vines, cherimoya trees, kiwis, greenhouse tomatoes, and certain pear varieties. Tools of the trade include pollination brushes for individual plants (a watercolor brush also does the trick), and a variety of battery-powered wands, electric pollination guns, gas-powered sprayers, and manual pollen poofers for larger plantings.